In this important study, Mark Toulouse maps the ambiguous landscape between American Christianity and American public life. 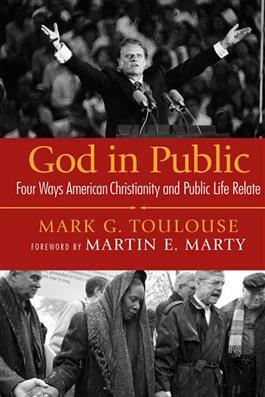 Built on an extensive study of religious periodical literature since the mid-1950s and on an analysis of landmark events in American history, Toulouse develops an insightful typology for understanding how Americans have related their Christian faith to public life. For Toulouse, the relationship between American Christianity and American public life exists in four styles of interaction--iconic faith, priestly faith, the public Christian, and the public church--with each model appearing in various forms across the terrain of American history. Carefully examined and accessibly written, this study is sure to generate discussion and bring clarity to the many ambiguities and diversities that continue to mark American Christianity.